Posts about baseball, football, soccer and golf. Last week I attended a day-long session with Edward Tufte, the “Leonardo Di Vinci of data,” as The New York Times once dubbed him. The session has inspired me to take the blog off paternity leave. About time. 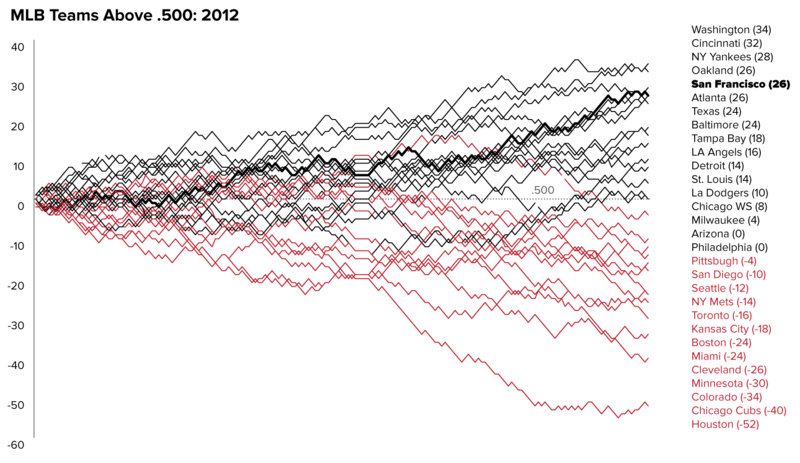 Inside Tufte’s book “Beautiful Evidence” is a section on “sparklines,” which are small, word-sized line graphs. 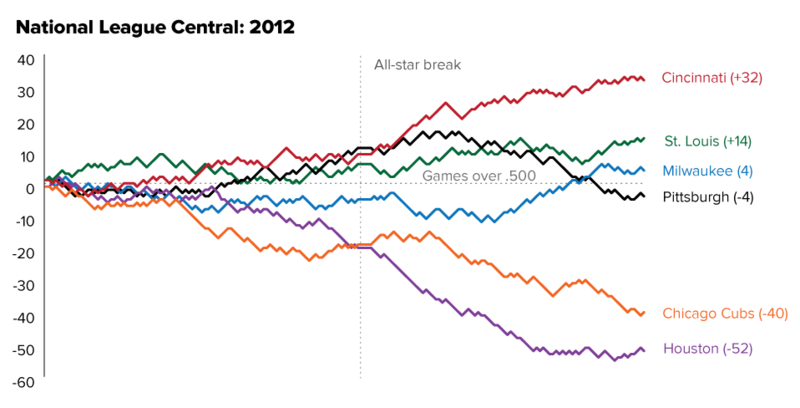 The section includes a visualization of a baseball season, with lines for each team showing their day-to-day trends above or below the .500 line. 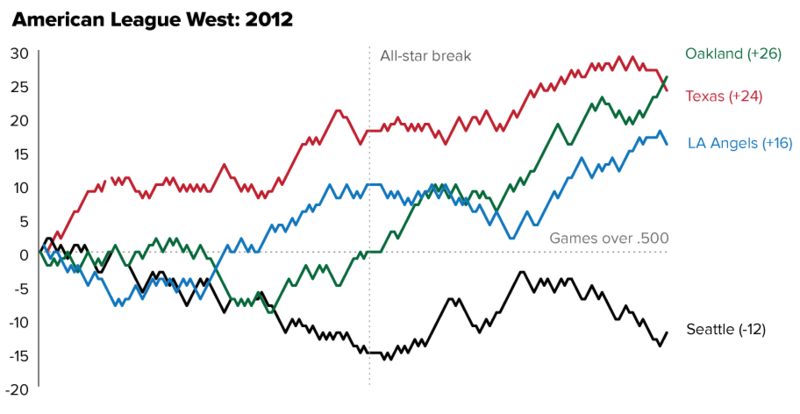 The line graphs I made below, inspired by Tufte’s sparklines on page 54, show each team’s progress in the 2012 season. 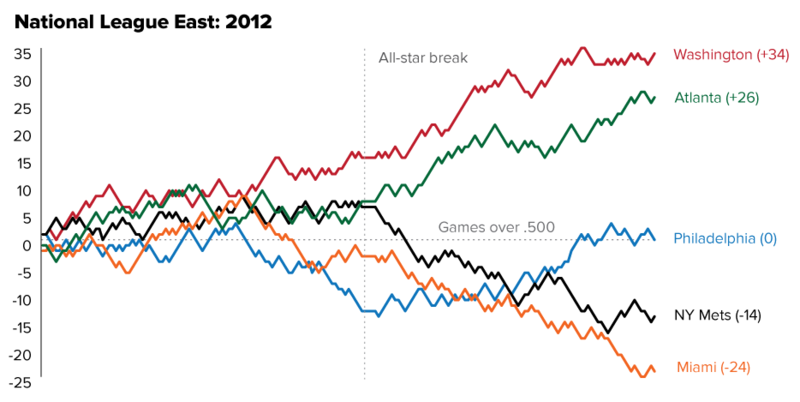 Now the National League East, in which Washington led for most of the season and Philadelphia closed strong to finish its season above the .500 win-loss line. 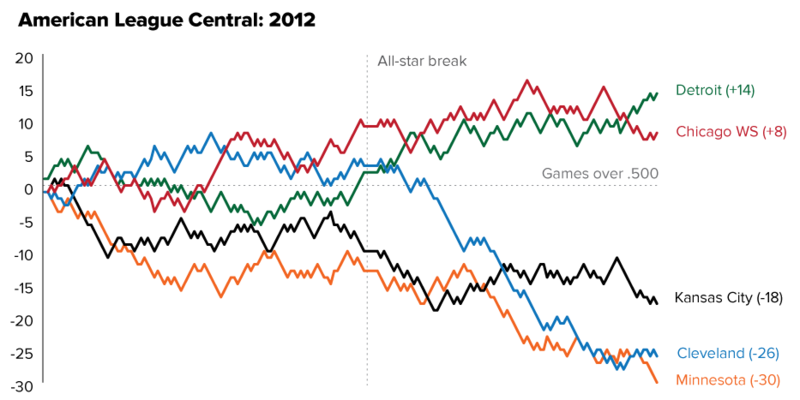 Notes: The charts depict each day of the season, not each game. 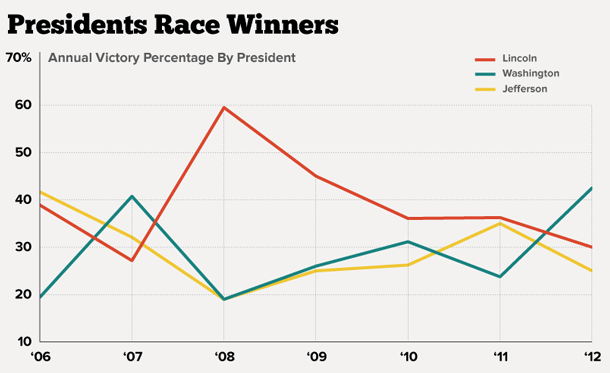 Also, the charts should be viewed separately. Because of the variance in each division, the y axes differ. I’ve uploaded the data to Google Docs. 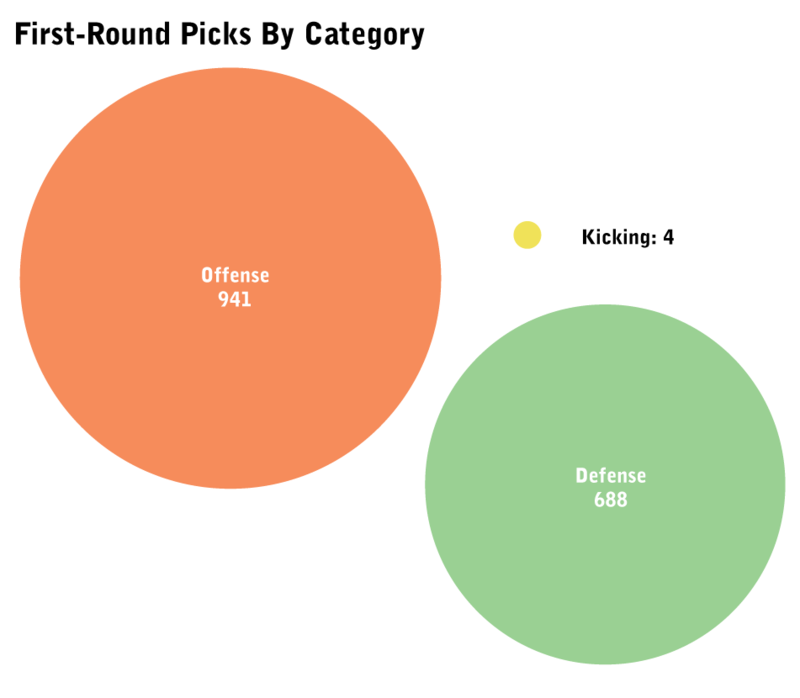 Feel free to download the file and send me visualizations of your own. I’m geeked about attending tonight’s USA vs. Brazil soccer match, especially after watching our team play so well Saturday against Scotland. But if history is any guide, it could be a long night for the USA side, which hasn’t beaten Brazil since 1998 (its only victory over the South American powerhouse). You can use the FIFA tool to compare any two national teams, and there’s an advance search to pick specific types of matchups (friendlies vs. World Cup matches, for example). 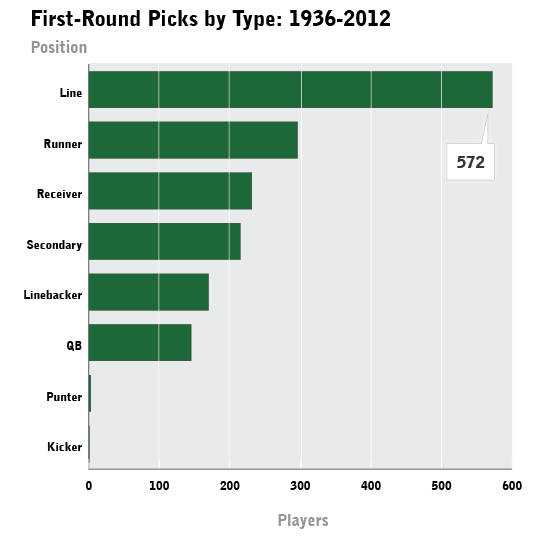 More than 1,600 players have been selected in the first round of the NFL draft since 1936, according to league statistics. 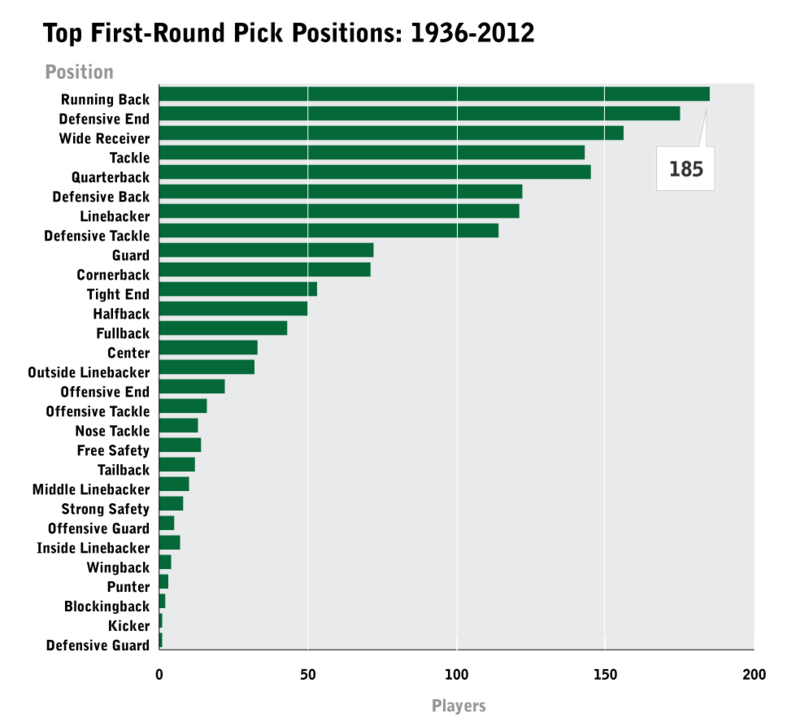 These charts break down the choices made by NFL teams by school, position and position type. Thanks, Chris Amico, for scraping help. 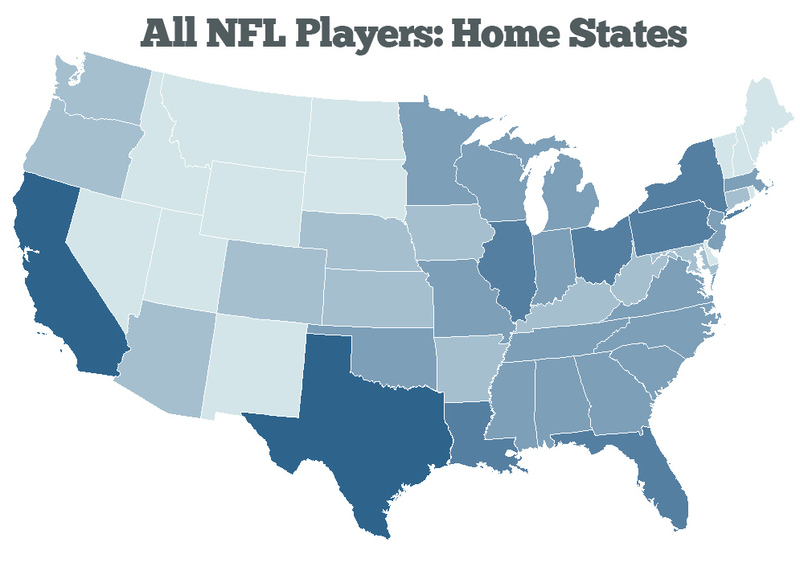 Mapping The NFL: Where Do Its Players Come From? 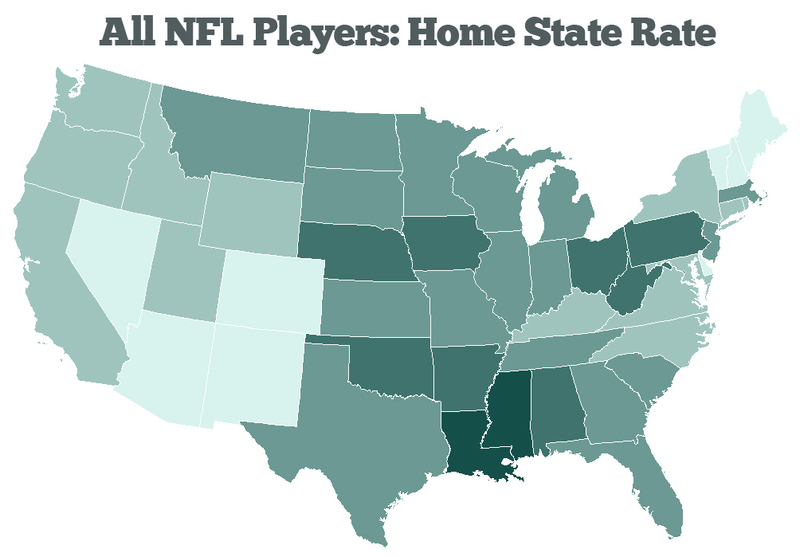 I stumbled upon an interesting data set that lists the home states of more than 20,000 NFL players in history. 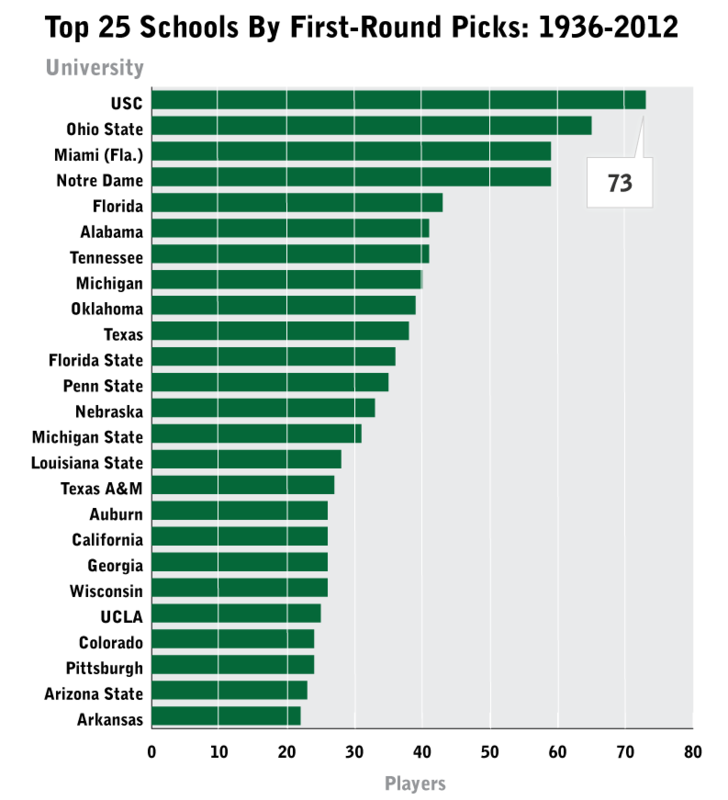 I wondered: Do some states send a disproportionate amount of players to the pros? Of course, I should have used the male population, but there’s only so much time in my lunch break — and the maps wouldn’t look significantly different.